The Huddersfield Daily Examiner has relaunched its Kirklees Business News supplement as a 40-page stitched and trimmed monthly magazine, the first of two new Trinity Mirror business titles in the North. The Kirklees Business News previously appeared as a four-page pull-out in the paper every Tuesday but the new-look model is now mailed out to an initial 3,000 subscribers with another 3,000 already subscribing online. It's also available to download here. 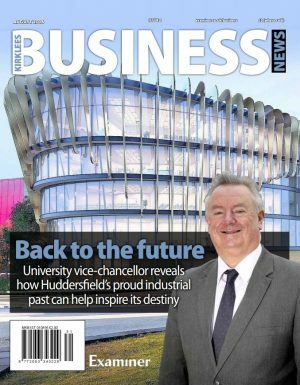 Editor Roy Wright told us the aim of the new title was to "give a broader West Yorkshire - as well as Kirklees - perspective" and the first edition includes reports on the post-Brexit landscape in the North and analysis of the opportunities for forging business links between Yorkshire and China. The publication also aims to provide in-depth coverage of technology, manufacturing, finance, law, digital media, skills training and commercial property with a mix of local and regional business news, comment and opinion aimed at company directors, senior managers, business owners and SMEs. Examiner business editor Henryk Zientek leads on editorial content, with production headed by Alex Day. The advertising is covered by Examiner head of advertising Beth Verrier and B2B account manager Katy Whiting. The title is the first of two new Trinity Mirror business titles in the North, with a new fortnightly Liverpool Echo business magazine set to launch next month.